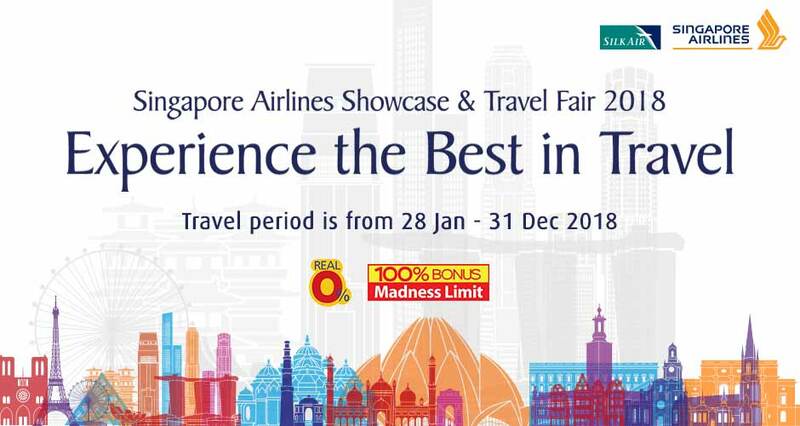 Get amazing travel deals at the Singapore Airlines Showcase and Travel Fair happening at Glorietta 2 Activity Center and TriNoma Activity Center from January 26-28, 2018. Experience the best in travel with all-in fares as low as as US$150! SilkAir Travel Fair happens at Ayala Center Cebu – The Gallery on February 2-4, 2018. Travel period is from January 28, 2018 to December 31, 2018. Enjoy real 0% installment plan for up to 6 months with your BPI Credit Card, a SGD60 Changi gift card, 500 bonus KrisFlyer miles, a chance to win 50,000 KrisFlyer miles and more! Check complete details HERE. Exclusive Preview Sale for BPI Gold and Platinum BPI Credit Cardholders at the Glorietta 2 Activity Center on January 25, 2018. Exclusive Preview Sale for BPI Gold and Platinum BPI Credit Cardholders at Quest Hotel, Cebu on January 25, 2018. BPI Credit cardholders also enjoy up to 6 months Real 0% Special Installment Plan. They can also take advantage of up to 36 months installment plan with a monthly add-on rate of 0.79%. Check complete BPI promo details HERE.